The American Association of Diabetes Educators, founded in 1973, is the leading association of diabetes educators, with more than 14,000 members in the United States. They promote and maintain continuing education for healthcare professionals working in the field of diabetes and diabetes management. And recently, they recognized the need to offer training and certification for non-medical healthcare advocates. And I am one of them! 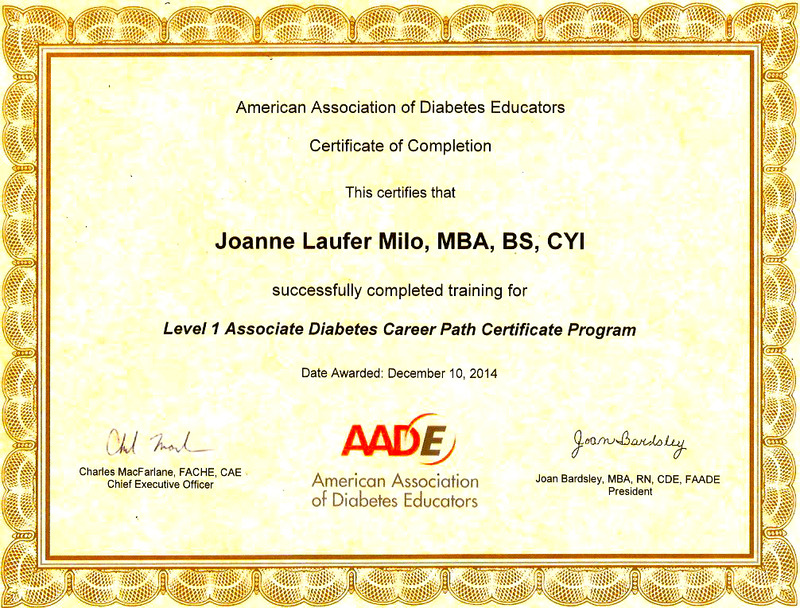 I just completed the training for the Level 1 Associate Diabetes Career Path Certificate Program. As I continue to be involved in the Type 1 diabetes community, I knew this would enhance my knowledge and abilities. AND, I got this cool certificate!!! Woo hoo!